Trying to cash out on the latest trend. Let (s)he who has never done it cast the first stone! Cannabidiol (CBD) supplements seem to be the most prominent fashion right now, at least where dietary supplements are concerned. 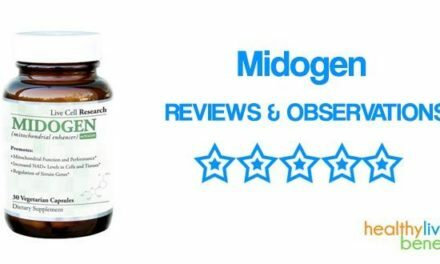 This particular product, sold exclusively online by Elevated Health makes all the usual suspected claims, and it is up to us reviewers to try and provide some welcomed clarity in this myriad of advertised possible benefits. Cannabidiol as a commodity has the defining characteristics which make a hit on the market of mass society – it is (relatively) new, under-researched, and, as a corollary, controversial. This particular packaging of CBD is supposed to originate from the most purely harvested hemp oil and relieve stress, localized and generalized pain, reduce all types of anxieties, keep your blood sugar in check, while also having an antibacterial action. Naturally, this review aims to give you a general idea on the degree of possibility these assertions will translate into reality, but there is more to a supplement analysis than that. We will also assess the trustworthiness of the manufacturing company, have a look at the promotional side of things, and keep you up to date with the latest scientific stance on the hippest application of cannabis. 4 What Does the Science Say About Hemp Oil Supplements? It is rather odd for a product so in demand that the vendor cannot guarantee supply (in addition to being endorsed by Morgan Freeman, although the link to this particular CBD supplement is probably apocryphal) that the only official information comes from a single web page. This page also contains an order form which will lead the prospective client to the payment part of the process. More introductory suspicions arise from the layout of the page which is surprisingly familiar, at least for this reviewer. The pattern is (almost) ubiquitous – one web page with the necessary disclaimers, terms & conditions leading to a payment page, trying to harvest the enthusiasm around the latest “miraculous extract,” all of it short lived. Anyway, let us give Elevated Health the benefit of the doubt, at least for the moment. The actual arrangement of the information on the website is pretty straightforward, covering almost everything you “should” know about the hemp oil supplement. The presentation begins by outlining the somewhat complicated relationship between hemp, cannabis, cannabinoids, the endocannabinoid system (ECS) in humans, and the significant benefits one could get from the product (listed in the introductory section of this review). The purpose of this quasi-clumsy preliminary exposition is to assure the potential customer that (s)he does not need a prescription for this purchase (as hemp oil contains only trace amounts of tetrahydrocannabinol, or THC, the psychoactive agent in cannabis) and that the plants harvested for manufacture all come from organic agriculture. Following the established tactic of slowly moving from the general to the particular, we become aware of the benefits of cannabidiol supplementation, which has been “scientifically sanctioned.” People exhibiting a wide array of ailments should find relief from a steady intake of hemp oil: those in the aftermath of a stroke, patients suffering from disorders leading to frequent seizures, those dealing with the hardships of chronic pain (regardless of the cause, pinpointed or not, especially fibromyalgia), individuals experiencing several types of infections (particularly Lyme disease), autoimmune disorders such as lupus, and even patients with more common chronic problems like hypertension. Elevated Health insists that cannabidiol from hemp oil has a clinically proven anti-emetic, anti-psychotic, anti-inflammatory, anti-oxidative, anti-depressant, anti-tumoral, and anti-anxiety effects. This plethora of benefits is supposed to involve no side-effects, as the source of the hemp oil is plants which feature no genetic modifications, exposure to pesticides or other artificial growth stimulation. A matter of simple the truth is that the hemp plant truly is a robust one, needing no human involvement to flourish, yet everybody knows what is said about things that seem too good to be true. And it is 100 percent made in America. 1 bottle (30 pills, 300 mg each) for $67.97, with the added possibility of downloading four e-books whose subjects are healthy eating, exercise, and pain management for an additional $29.99. 1 bottle with membership for $59.97, though there are no specifics as to what this membership entails. There is substantial evidence that the membership means that you will be re-billed automatically and sent a bottle of Elevated Health The e-books are now only $19.99. 2 bottles, get one free for $188.91, with the e-books reverting to the price of $29.99. If you are only interested in the product, then you would save about $16, compared with the basic plan. 3 bottles, get two free for $249.85, the e-books on the house. This seems to be the most advantageous solution, as you will save about $90 (vs. the single bottle option). Naturally, every actor on the free market can ask any price they consider for their product. Nevertheless, almost $68 for a month’s worth of cannabidiol supplementation is above the median market price. For example, the best CBD oil product according to the respected team at supplementpolice.com is under $45 for a similar supply, with the same 300 mg dosage. Up to this point, we have learned that the “Hemp Oil Miracle Pill” does not stray too far away from your average CBD oil supplement, with two significant caveats – the price which does not fit into the market average, and the somewhat troubling fact that the customer is not informed as to which strain of hemp (part of not supplying a full list of ingredients) is used for the supplement. Also, more details about the manufacturing process itself would be more than welcome. Nevertheless, these two (relatively) minor downsides are no reason to toss this supplement out. Also, to balance out this rather unpleasant impression, there are three scientific studies cited which deal with the effects of cannabidiol. But, more on that later! We now move on to ascertaining “Elevated Health’s” trustworthiness level. Do not let the designation in the title fool you; there is no certainty as for the exact name of the organization which produces the hemp oil miracle pill. From the website, we have a single line that could point to that conclusion. Even the “contact” and “terms and conditions” pages do not shed more light on what is already becoming a problem. The hotline and shipping services are outsourced; therefore, we have hit a dead end in our inquiries. All we are left with is a mailing address for Akron, Ohio. Naturally, there is no trace at the Better Business Bureau of any company even remotely reminiscent to Elevated Health, with the next best thing being a medical practice in California. Anyway, the liabilities waiver which the client automatically accepts to when buying the product mean that legal action against the makers of the supplement is totally out of the question. From other sources, we found out that the same company currently sells at least two other dietary supplements, including another cannabidiol pill. Both websites share the same rudimentary single-page structure, with several blocks of text promising a multitude of benefits, all of them leading swiftly to the monetary check-out. From our experience, this company engages in a familiar practice: selling the same supplement, under changeable packaging, setting up a different website every now and again so their trail can be lost. This tactic may work in the short-term. However, it is doubtful that it can be much more than a temporary get-rich-quick scheme, where every party ultimately loses. Upon inquiring about the website details, it is clear that we are dealing with the tactic mentioned above. The domain was registered in January 2017, and the website has been updated at least weekly since then. It is recorded by a company in Arizona, with a hosting company from California. When we remember that the mailing address for the Miracle Pill company is in Ohio, then the full picture is starting to take shape. Eleven in twelve jurors would convict the phantom company which produces the “Miracle Pill Hemp Oil” of identity fraud. The evidence is there. Nevertheless, we are not asserting that the pill itself is fraudulent, although one would need to be really into the “innocent until proven guilty” principle to order a supplement from an evidently shady manufacturer. Let us now turn our attention to the science behind hemp oil supplements and see whether there is a chance of those much-touted benefits ever to visit everyman’s street. What Does the Science Say About Hemp Oil Supplements? It is all about cannabidiol. In the past several years, beginning with at least 2012, it has become common knowledge that cannabidiol is one of the dozens (possibly over a hundred) cannabinoids which are harvested (one way or another) from the cannabis plant. Hemp plants are those strains of the Cannabis sativa plant which have negligible amounts of the psychoactive agent THC and have been grown for thousands of years for other purposes, specifically textile manufacturing. Let us start by discussing the three studies quoted on Elevated Health’s CBD Miracle Pill website to back up their claims on the benefits the supplement may bring to its consumers. The first is a paper written by a team consisting of a Hungarian researcher (with no notable accomplishments in the field) alongside Czech cannabinoid authority Lumír Hanuš, currently affiliated with the Hebrew University of Jerusalem. The study was published in 2016 in the very first issue of Cannabis and Cannabinoid Research journal. Although the publication is a young one, with the second volume released just a few months ago, the institution behind it – the International Cannabinoid Research Society – has quite a bit of prestige and almost thirty years of activity. The article is, in fact, a literature review regarding the metabolization of cannabidiol in animals and humans, also dealing with possible drug interactions in clinical pain management therapies. The paper underlines the scarcity of serious studies decrypting the avenues of cannabidiol metabolization in humans. Furthermore, even the available information about the possible value of CBD in these therapies is doubtful, because CBD is almost always administered in combination with other substances. Although the results of clinical trials studying the effects of cannabidiol on pain relief and sleep prolongation are often contradictory, it seems there is sufficient evidence to conclude that evident positive effects on patients depend on a high dose of CBD (more than 600 mg per day) and the route of administration (with intravenous administration preferred). The second paper is authored by Los Angeles-based neurologist Dr. Ethan Russo and published in the same volume of the Cannabis and Cannabinoid Research journal. The problem with this study is that it is not concerned with CBD per se. It deals with the poor functioning of the endocannabinoid system in particular individuals, a deficiency which might lead to conditions such as fibromyalgia, migraines, and irritable bowel syndrome (IBS). These afflictions have been considered by mainstream medicine and pharmacology as psychosomatic, with numerous cases where cannabinoid supplementation has proved to be a viable solution, at least for partial relief. Individuals in this state are thought to be suffering from Clinical Endocannabinoid Deficiency (CED), a theory first put forward in 2001, and which has remained with the theory status ever since. This seems to be the study on which most of the claims made by Elevated Health are based on. Dr. Russo, a leading member of the board of Phytecs (a Californian facility specialized in offering alternative therapies and medicine) links in this paper endocannabinoid deficiency to a host of problems: post-traumatic stress disorder, depression, Huntington disease, motion sickness, anorexia, fibromyalgia, migraines, Parkinson’s, IBS, or multiple sclerosis. An interesting point made in this article concerns the reticence of mainstream medical opinion in accepting CED as a possible proper diagnosis. Its author argues that techniques used in linking a series of physical symptoms to specific neurological disorders, such as MRI’s and PET scans, do not currently possess the technological sophistication of assessing in real time endocannabinoid levels in the subjects of these tests. While this certainly can be a possibility, we believe it sheds more light on the cannabinoid researcher’s research techniques than on the establishment’s willingness of accepting the conclusions. Dr. Russo’s standing in the pharmacological community is a prestigious one, as his work is not reduced to such controversial areas as cannabinoid research, an aspect which bolsters further the viability of the claims made by Elevated Health and the desire to associate (though the desire is probably not mutual) the name with the brand. The final study quoted by Elevated Health has also been published in the Cannabis and Cannabinoid Research, vol. 1/2016, a fact which might suggest that the manufacturers of the “Miracle Pill” are not avid scientific consumers. This particular paper deals with the possibility of using cannabinoid supplementation as a possible clinically-sanctioned relief for nausea in cancer patients undergoing chemotherapy. The team of researchers, from the Canadian universities in Calgary and Guelph, argue that cannabis has a long history (thousands of years) of use as an anti-emetic, whether in various traditional medicinal settings or even in Western medicine (in an illegal or semi-legal capacity). The article proceeds with a reminder that in the 1970’s, at least two synthetic cannabinoids were a legal prescription in the United States for cancer-induced nausea. Though more sophisticated anti-emetic drugs have been developed since then, there is absolutely no doubt that the endocannabinoid system regulates many aspects of nausea. This means that its manipulation through naturally-harvested cannabinoid supplementation may be the future for patients who have the nausea plight. Promising animal studies focusing on the anti-emetic effects of cannabidiol supplementation are cited by the Canadian team, concluding that the stage is set for human trials, particularly considering the problematic status of nauseous consequences in the ever-increasing number of cancer patients in chemotherapy, both at present, but more importantly, in the future. Bone Growth – this is probably a case of miscommunication as cannabidiol may stimulate a cannabinoid receptor in the nervous system which regulates the amount of fat in the bone marrow, an aspect which influences bone density (whose deficiency leads to osteoporosis as individuals advance in age). The evidence, however, is scarce, with only tests performed on rodents confirming the hypothesis, at least for the time being. Anti-tumor Benefits – the endocannabinoid system regulates many physical processes as a part of the nervous apparatus. Thus, it could play a (probably small) part in the cancers associated with the nervous tissues. Nevertheless, it is clear that the FDA does not approve of cannabinoids as medicine against any disease, least of all cancer. That being said, some cannabinoids are frequently prescribed against the side-effects of certain types of cancer, with THC, in particular, a semi-legal alternative when dealing with those consequences. Hypertension – is a chronic condition and, as is the case with every chronic health problem, there is never a single cause. The manner and degree in which the nervous system regulates blood pressure still hold a degree of mystery to scientists. However, there is limited evidence as to the effects of cannabidiol on the vascular system. Rodents with induced diabetes have exhibited a relaxation in blood vessels when exposed to cannabinoids (including CBD). Also, CBD seems to positively influence the survival rate of leucocytes, although this aspect has an inconclusive bearing on the overall problem of high blood pressure. Seizures – in some cultures, cannabis has been used as a traditional treatment for epileptic seizures. Studies on small rodents yielded mixed results, with cannabidiol showing promising results in cases of non-epileptic seizures. A particular manifestation of epilepsy known as Dravet Syndrome (epileptic seizure occurring in early childhood, brought on by non-related high fever) seems to respond particularly well to CBD supplementation. As is the case with the other disorders, research is severely limited. Cannabidiol has a strong claim to being at least partially what it is touted. It certainly cannot be harmful, although one should beware when pregnant or in other exceptional physical conditions. The problem is that we do not possess the critical information regarding the hemp strain used in manufacturing the supplement. Then there is the small matter of the price. Why should a pill sold through a shady website be around 30 percent more expensive than the already well-established products, even though they contain the same amount of active substance? With so many red flags, no independent reviewer could endorse Elevated Health’s product. Simply put, there are better, more trustworthy, and more affordable alternatives out there. The market of CBD supplements is a competitive one. That is always good news for the consumer! In light of this wealth of information, would we recommend Elevated Health’s Hemp Oil Miracle Pill? There is a strong tendency towards a negative response. Elevated Health is bent on cashing out as much and as quickly as possible on the cannabidiol trend. Otherwise, why would one company simultaneously commercialize two (almost) identical supplements under different designations? The lack of other widely available details on the enterprise itself means it certainly has something to hide. PreviousHow to Pick the Best Medical Cannabis Oil? NextVitaPulse by Princeton Nutrients: Supplement Review – Scam or Legit?